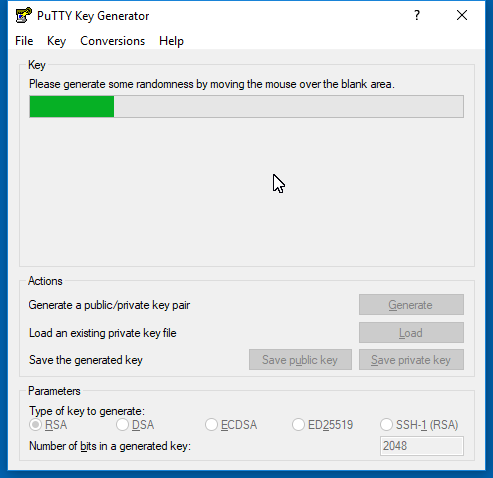 You will need Putty to generate a SSH key easily and quickly. You can download Putty here. After installing open up PuttyGen, you can find this application when opening start menu and search for "PuttyGen". After this has been done, you will have a keypair generated. 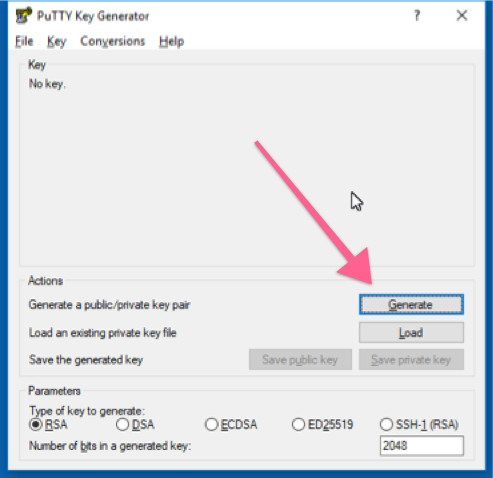 You can save this by pressing "Save public key" and "Save private key", save both to a secure file location. You will need these keys to connect to your server.